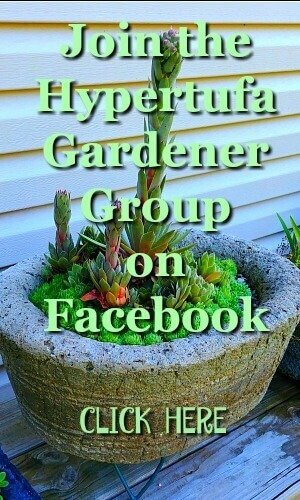 Storing Portland Cement – Hypertufa’s Main Ingredient! 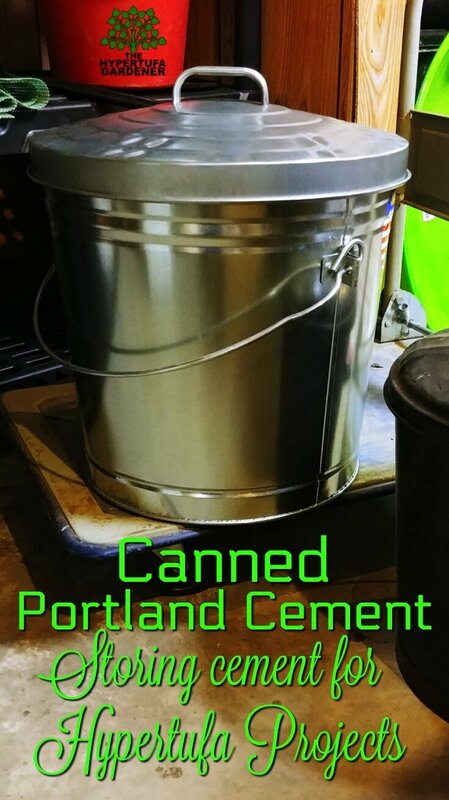 I am working on my process of storing Portland cement in my basement garden shop. Previously I explained about my new location for my set up of materials, but now I need to explain where I am putting everything and how it hopefully will stay undamaged for a full season. 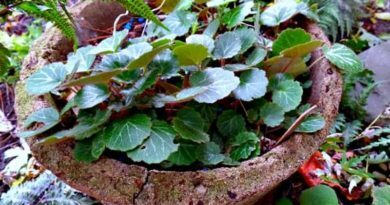 And I am hoping that I can use Portland cement into the late fall and very early in the spring if this works out. So stay with me. Only time will tell. First of all, our basement does NOT seem damp at all. It is a walkout and there was not even a sump pump installed when it was built. Some of the real estate agents told us that they thought the codes didn’t require a sump pump if it was a walkout since it is not likely that basement leaks would be a problem since it sits on a incline or fairly steep hill. You all know how steep my outside hills are based on the Rock and Boulder gardens I have created. But since a basement stays cool, and this one does, I still worry about moisture. 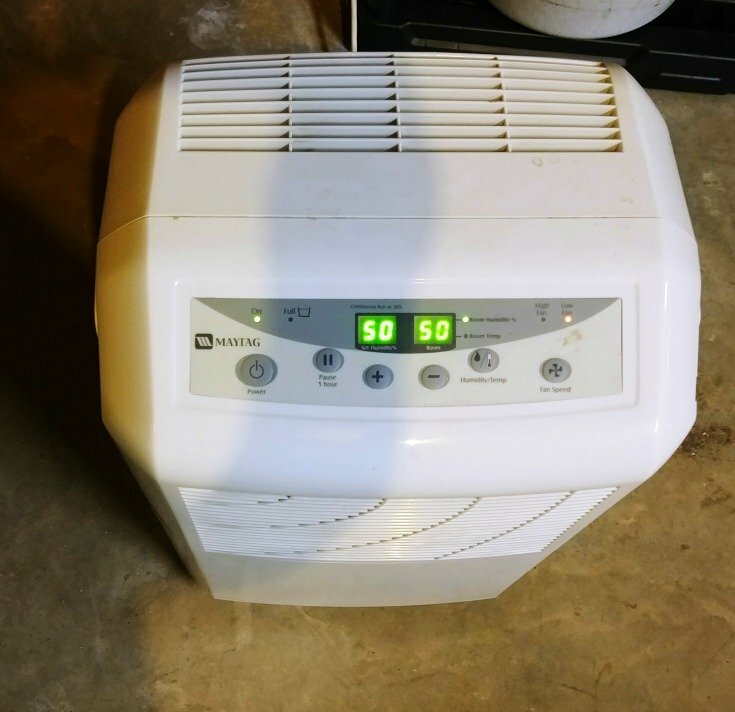 We have a basement in our new home, and since it was empty for a while before we occupied it, I don’t know if the prior owners had a dehumidifier running or not. So when we moved in, we purchased one and have both of ours running most of the time. The types we have shut off when the receptacle is full, so it would only quit working if one of us neglected to empty the container. So “one of us” would always need to keep an eye on it and keep it emptied. Surprisingly, it really removed the water in the air ( like filling up each 24 hour period), and the basement feels comfortable. 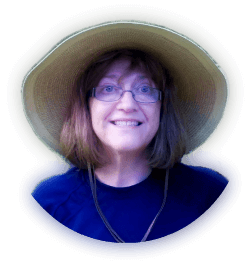 No damp smell, no clamminess. Hard to explain if you don’t know what I mean, but it stays nice. 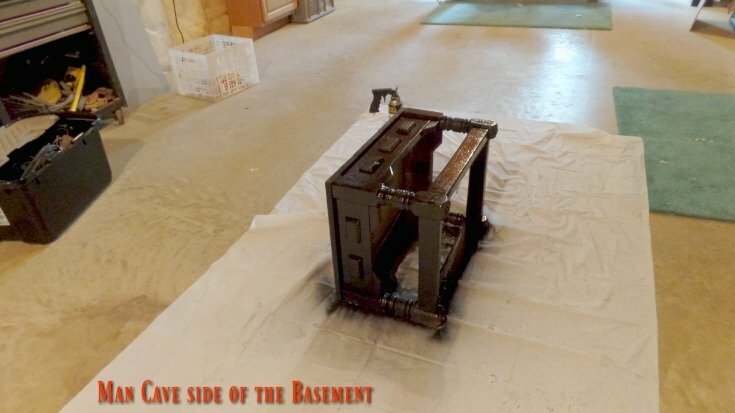 It seemed to me, without knowing exactly how the basement situation will work out, that I should start this first season assuming that I would need to protect the cement from any dampness that any normal basement might have. So I have opted to store my Portland cement inside a metal trash can. I will line it with a plastic bag for extra protection and just place my scoop inside for easy use. Doesn’t that sound convenient? 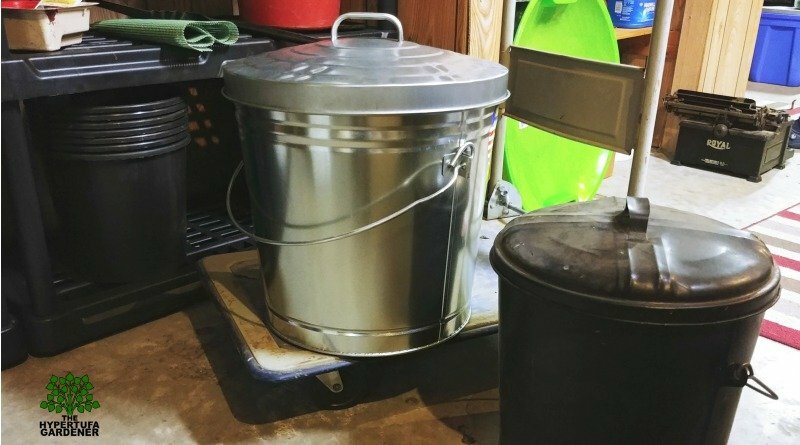 I have to have a place to store the peat moss too, so I have gone out to Home Depot and bought another larger metal trash can. This one is a large 30 gallon size. Choosing the metal cans was just a choice I made because they were shiny and pretty, I thought. I suppose a plastic one would seal just as well, but I liked the shiny ones for myself. Later I will probably get one for the vermiculite, but my supply is still high in these large bags which stand alone and are scoopable too! 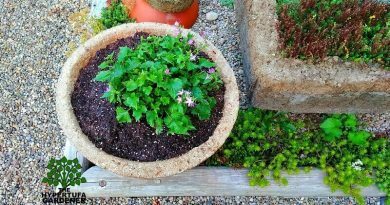 Previously I had stored my Portland cement just in the bag it comes in during the busy season, but during the slower times like early spring and late fall, I put it into individual zipped storage bags or coffee containers. I tried to mostly do 1 gallon amounts so that it was pre-measured for me. But it is a lot of work to get that all scooped into bags. But it sure lasted without getting little hard nuggets in it. Once your Portland cement starts getting those hard nuggets, it loses its capability to “set up.” Since the chemical reaction , called hydration, starts when it combines with water, just the small amounts from dampness could ruin a hypertufa project, and I don’t want to waste time working on a great project knowing that there is a 50/50 chance of it not setting up properly. Have you ever had yours fall apart or not set up? That is so disappointing. What have you done for any storage problems for your Portland cement? 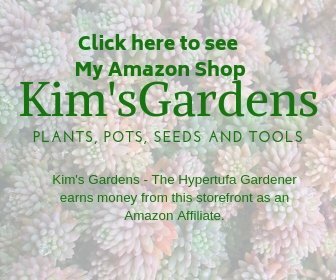 I have a few projects going and I plan to get videos of them put up on my Kim’s Gardens channel just as soon as possible. Hope these help you to see what I do in my garden shop. If you have other ideas, I would love to hear them. 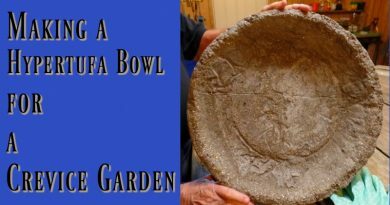 Making Large Trough Planters or Hypertufa Bowls – A Fun Mess!